After six months of planning, writing, editing, and cursing the speed of my laptop’s Adobe suite, it’s finally here. 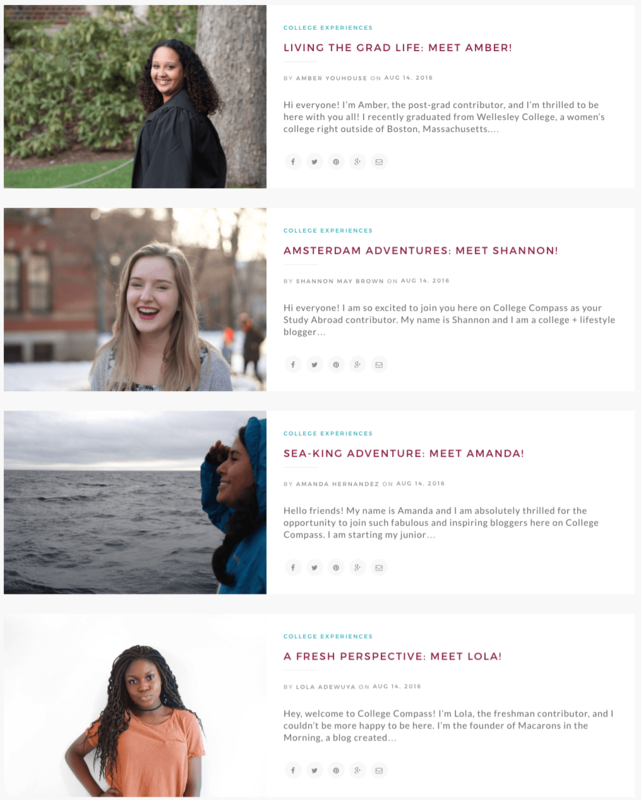 College Compass, the new homepage of all my college content (plus tons more), has launched! Today, I’m giving you a tour and sharing a few of my favorite articles from the new site! This is the College Compass homepage, which features a menu, slider, and (not pictured) grid of the most recent posts. Right now we’re featuring some details on my conversation with Malala, some of our most popular classic posts on final exams, and the introductory posts from our four columnists: Amber, Amanda, Shannon, and Lola! College Compass is lucky to have a set of four amazing columnists sharing their experiences starting college, studying abroad, and embarking on post-grad life. Amber of Living the Grad Life is our post-grad contributor and a first-year graduate student at Harvard Divinity School! She loves cooking, DIYs, and her two rabbits, Dionysus and Darcy. Read Amber’s first post here! 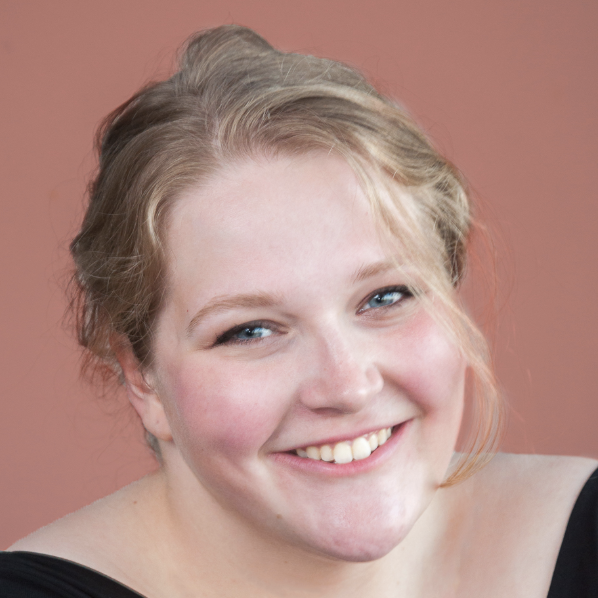 Shannon of Amsterdam Adventures is one of our two study abroad contributors. 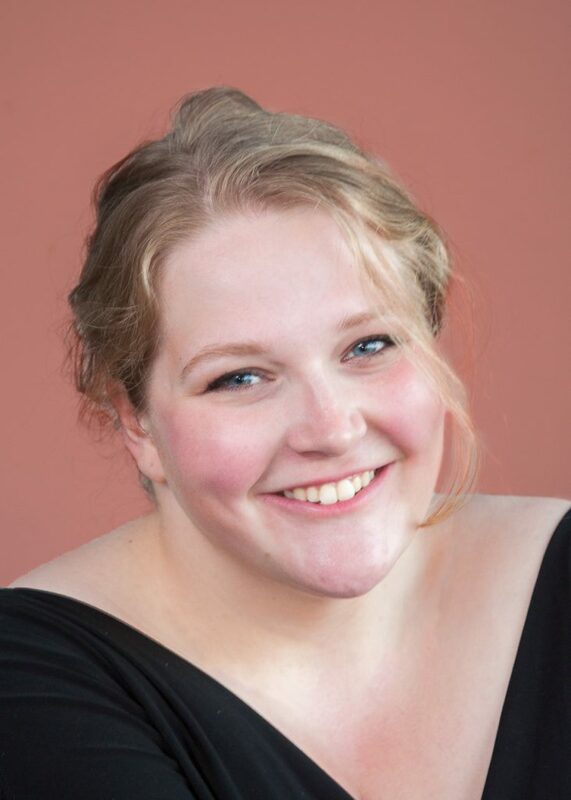 A Computer Science major, she also blogs at Endless May and is spending this fall studying abroad in Amsterdam! Read Shannon’s first post here! Amanda of Sea-king Adventure is our other study abroad contributor. She is an Environmental Studies major who will be spending this fall semester completing the SEA Semester program, during which she’ll spend six weeks sailing through the Mediterranean. Read Amanda’s first post here! Lola of A Fresh Perspective is an incoming first-year student at Dartmouth College. She is hoping to major in Cognitive Science and minor in Computer Science. She blogs at Macarons in the Morning and is excited to let us experience her first year of college with her! Read Lola’s first post here! In addition to our fabulous columnists, College Compass also has three major categories: College Help, College Prep, and College Life. Each category is divided into different sections, so you can get help and perspectives on everything from dorm decor to final exams. Finally, we also have an inspiration section, where we’ll be featuring interviews and profiles on some of the most accomplished and inspiring women in everything from academia to business to politics. Our first post is an interview with educational advocate Malala Yousafzai. We also have a resource library of free downloads! 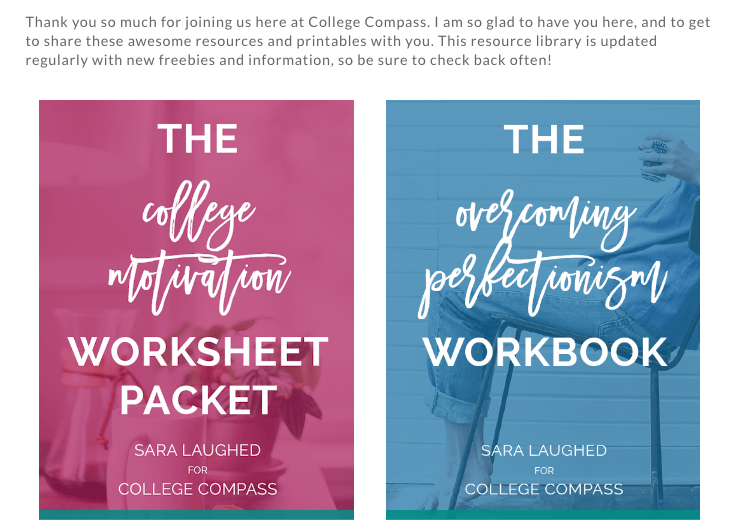 These are updated and improved downloads from the Sara Laughed resource library; the password is available for Sara Laughed and College Compass subscribers! What does this mean for Sara Laughed? All my college post from Sara Laughed will now link to their College Compass equivalent. The rest of the posts on Sara Laughed, including personal posts, travel articles, and craft tutorials, will stay here! Check out College Compass here! So excited for you and this website! I think it’s such a great idea to have those diverse contributors, and I can’t wait to see how this blog grows! This is so exciting darling. I always love your posts and I’m sure this new adventure along with these other women will be wonderful. Thank you for creating and sharing it with us!